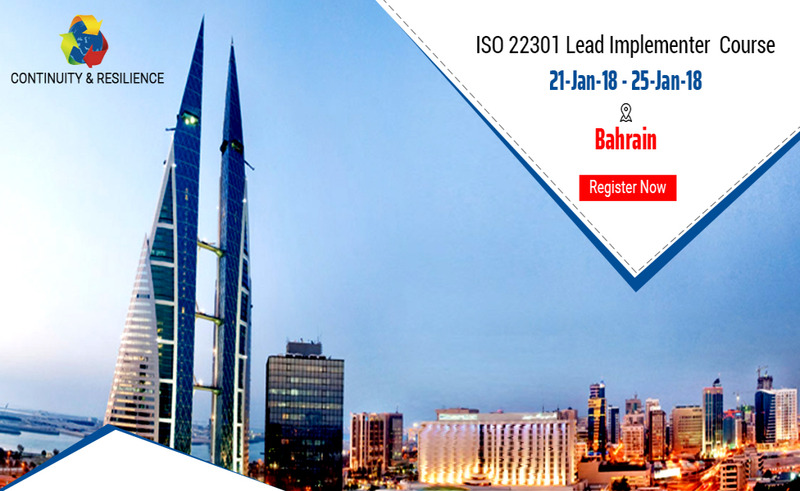 Register today for ISO 22301 Lead Implementer Workshop by Continuity & Resilience at Bahrain from 21th - 25th Jan 2018. The workshop will provide an intensive and comprehensive learning experience for those wishing to understand in great depth the fine details of the ISO 22301. Training methodologies include power-point- based classroom lectures,group discussions, and individual/group exercises based on a case study, and videos. A must attend for business continuity auditors, managers or consultants and all other individuals.